Exploring the same procedures in the previous tutorial applied to a patch surface derived from a spline-cage and a loft. 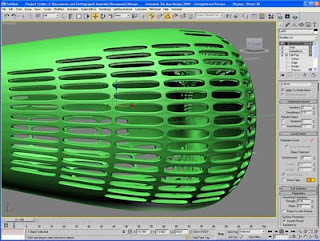 This tutorial covers the basics of how to create a perforated parametric surface form from simple polymesh geometry. 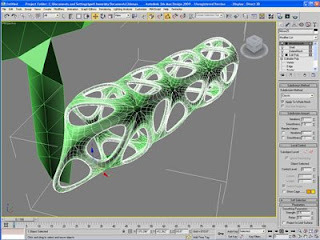 Covered are the creation of polymeshes, edit polymesh modifier, using the inset function to form a lattice, delete mesh modifier, shell and mesh smooth modifiers.